With the hearts of seventeen princes in her collection, she is revered across the sea. Until a twist of fate forces her to kill one of her own. 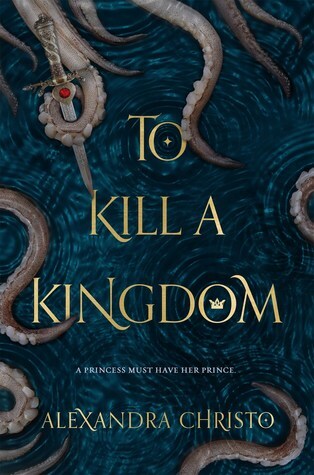 To punish her daughter, the Sea Queen transforms Lira into the one thing they loathe most—a human. Robbed of her song, Lira has until the winter solstice to deliver Prince Elian’s heart to the Sea Queen or remain a human forever. The ocean is the only place Prince Elian calls home, even though he is heir to the most powerful kingdom in the world. Hunting sirens is more than an unsavory hobby—it’s his calling. When he rescues a drowning woman in the ocean, she’s more than what she appears. She promises to help him find the key to destroying all of sirenkind for good—But can he trust her? And just how many deals will Elian have to barter to eliminate mankind’s greatest enemy? About the Author: Alexandra Christo decided to write books when she was four and her teacher told her she couldn't be a fairy. She has a BA in Creative Writing and works as a copywriter in London, both of which make her sound more grown up than she feels. When she's not busy making up stories, she can be found buying far too many cushions and organizing food crawls all over the city. Alexandra currently lives in Hertfordshire with an abundance of cacti (because they're the only plants she can keep alive). My Review: I really loved this at the start but as the story went on I found it turned to a pretty meh story. The romance was lack luster and well the dark and creepy aspect just wasn't enough to keep me reading. The best part about this story is the pirate prince. The plot of this one and how everything came about felt way to calculated for me. I wished I would have loved this one and I am very sad that it just didnt work out for me at all. Do I Recommend this book? This one wasn't really slow but it felt like there was so much going on that nothing was really working. I would try this one from the library.